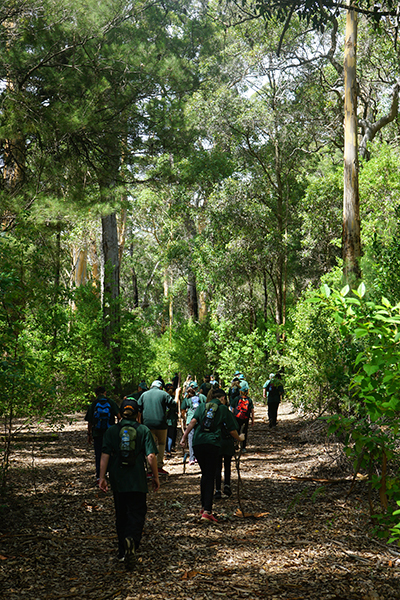 Bushranger Cadets is part of the suite of extra-curricular activities offered to students at Manjimup Senior High School. This is a voluntary program for young Western Australians and is part of a broader program known as CADETS WA. The aim is to give all secondary-aged youth the opportunity to participate in personal development training that provides practical life skills, develops leadership, teamwork and initiative skills, and fosters qualities of community, responsibility and service. The Bushranger Cadet Unit meets every Thursday after school, from 3.30 - 5.00pm to undertake training and chart the progress of their various projects. Contributing to nature conservation through a variety of exciting hands-on projects. Developing first aid, bushcraft, survival and navigation skills. Learning about managing parks, State forest and other special places. Helping save threatened plant and animal species and their habitats. Developing leadership and interpersonal skills.